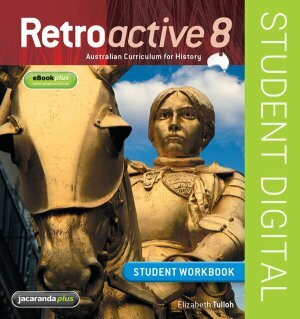 Retroactive 8 Australian Curriculum for History Student eWorkbook is an electronic version of the Retroactive 8 Australian Curriculum for History Student Workbook and is designed to deepen and enhance student learning with additional classroom or homework activities for each chapter. • Looking back worksheets provide a structured way for students to reflect on the progress of their learning. Click to view Retroactive 8 Australian Curriculum for History eBookPLUS.